The data protection policy listed below regulates the treatment of personal data collected by the Academia Europaea-Barcelona Knowledge Hub (AE-BKH) in the development of their activities . The data that a person supplies to the Academia Europaea-Barcelona Knowledge Hub (AE-BKH) are treated in accordance with the current legislation regarding data protection, with the sole purpose of delivering the requested service. The interested person voluntarily supplies her/his data, and for this reason she/he guarantees that the personal information provided is true; the AE-BKH reserves the right to exclude from the services those who have provided false information, without prejudice to other actions that are pertinent in law. The provided data are processed solely for the purpose for which they were requested and were authorized by the interested party. The data are not ceded to third parties, unless the interested person has authorized it expressly or by legal questions. 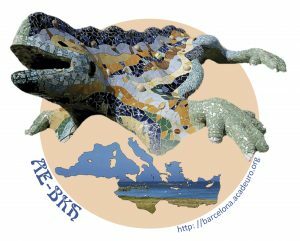 To guarantee the full execution of the services of the Academia Europaea-Barcelona Knowledge Hub (AE-BKH), a part of them can be carried out by third-party entities dedicated to this purpose. The consequent management of the personal data for these entities is carried out solely and exclusively to guarantee the realization, security and availability of the services that the AE-BKH offers; the AE-BKH guarantees that these entities apply the best information security measures and practices. — Access her/his data, that is, request what information AE-BKH has and what use it makes. — Correct her/his data, that is, request modification or rectification of inaccurate data. — Suppress her/his data, that is, request that her/his data be removed and no further treatment be carried out, except for those required by law. — Opposing a treatment, that is, that the AE-BKH does not make a specific use of her/his data. — Limit treatment, that is, request that her/his data be preserved solely for legal needs.